Home remedies that are natural are always the best choice for yellow diarrhea or in fact any type of diarrhea. If you indeed do suffer from this, please read this article thoroughly and make an appointment to see your doctor if the symptoms persist. Despite this humorous image, diarrhea is not a laughable matter. Bright green or yellow colored diarrhea is characterized by the excretion of watery, loose and bright yellow stools for at least three times in a day. Meanwhile, green diarrhea is a term used to describe the passing of watery, loose and liquid green stools which is mainly triggered by an excessive intake of green leafy vegetables like lettuce, spinach, broccoli and cabbage. A pale stool can also be caused by a rapid transit of watery stools from the small intestine to the large intestine. Some people experience diarrhea after eating certain foods, while some others experience diarrhea after every meal. 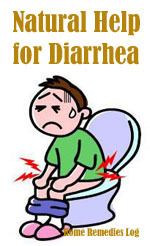 Diarrhea is a sort of natural defense system that helps remove all the toxins from your body. Stopping it abruptly can only lead to future complications. This is why it is better trying out natural and home remedies for diarrhea to gradually treat the condition instead of abruptly stopping it using over the counter drugs. When an individual suffers from diarrhea after eating, it may already indicate a more serious digestive problem. Diarrhea can be defined as an increase in the frequency of bowel movements or as a change in the form of stool. It can also be off-color such as green or yellow. However, it has to be differentiated from four other conditions: incontinence of stool, rectal urgency, incomplete evacuation and bowel movements immediately after eating a meal. Increase in the Frequency of Bowel Movements: The maximum number of bowel movements among healthy individuals is three in a day. Therefore, absolute diarrhea can be defined as more bowel movements than normal and relative diarrhea as more than usual. Looseness of Stool: It is difficult to define diarrhea on the basis of consistency of stool as it keeps changing based on the diets that healthy individuals have each day. People who eat vegetables in large quantities will pass looser stools compared to those who eat less of vegetables. However, watery stools are not normal and can be considered diarrheal. Diarrhea can be in response to many acute and chronic conditions. In some cases, there may not be a known cause at all and diarrhea will pass of without any side effects. However, chronic diarrhea along with other symptoms may be a sign of a serious health condition. So, what causes diarrhea? Irritable Bowel Syndrome: Irritable bowel syndrome (IBS) may be a reason for experiencing chronic diarrhea after eating meals. People suffering from IBS may experience bouts of diarrhea and constipation. Studies indicate that 20 percent of the adults suffer from IBS. The direct cause of IBS is not known. Gastroenteritis: Infections of the gastrointestinal tract caused by microorganisms such as bacteria, viruses or parasites can lead to diarrhea. Gastroenteritis is diagnosed by doing a stool culture test. Improper hygiene, contact with infected persons and consumption of spoiled foods are some of the reasons for contracting infections. Consumption of contaminated water, raw foods, shell fish and unpasteurized milk can also cause gastrointestinal infections. Disorders of the Autoimmune System: Autoimmune disorders, including Crohn’s disease and ulcerative colitis, are also known to cause chronic diarrhea after eating a meal. The major factors that contribute to autoimmune disorders are genetic makeup and lifestyle. People with gluten or lactose intolerance can also experience diarrhea after eating anything. It is the body’s reaction to get rid of a foreign material. Clinical studies show that yellowy watery diarrhea is actually caused by the failure of the liver to produce sufficient amounts of bile because of a serious liver dysfunction. Bile is responsible for the change of color of the stool from bright yellow to brown. The failure of the liver to produce sufficient amounts of bile leads to the excretion of stools which can actually range from bright yellowish-brown to a yellow-gray color. This type of watery diarrhea can also be triggered by a bacterial, parasitic or viral infection acquired from contaminated water and foods. Powerful medications used in chemotherapy such as antibiotics and laxatives can also trigger the onset of this yellowish colored diarrhea. Surgeries, radiation and liver diseases can also cause it. Yellow diarrhea is often accompanied by symptoms such as extreme tiredness, cramps and a feeling of malaise. Weakness can also be experienced by the victim. Other indications include dizziness, frequent thirst, tearless crying, headaches and decreased urination. Chronic yellow liquid diarrhea which lasts for at least four weeks causes the victim to dehydration due to a significant loss of potassium and electrolytes. The most common symptoms of dehydration which the victims usually experience include irritability, dark colored urine, fever, confusion, sunken eyes, dry skin, irritability, dry mouth and excessive thirst. However, if the condition starts suddenly without the presence of signs other than watery, loose and off-color stools, it can be caused by a viral or bacterial infection that have been picked up from a contaminated food or water. In order to understand the treatment for diarrhea, it is important to consider the two situations, acute and chronic diarrhea. Medications may be essential in some cases. Natural home remedies for diarrhea treatment are also becoming popular. Acute Diarrhea: In many cases of acute diarrhea after eating, replacement of lost fluids through oral re-hydration may be the only treatment required. The body may just be reacting to an infection or to ingestion of bad food. Once the body gets rid of the cause of infection, the bowel movements will become normal. Some people may find medications like Imodium (loperamide) and bismuth subsalicylate to be beneficial. The most common pill used to stop diarrhea is Imodium, especially in situations such as traveler’s diarrhea. This pill works by slowing down the gut and decreasing the bowel movements. This makes the stool less watery. One of the recommended home remedies to stop diarrhea is consumption of pro-biotic yoghurt. It relieves the symptoms of diarrhea in some people reasonably fast. Absorbents like attapulgite and polycarbophil and bismuth compounds are also used in the treatment of acute diarrhea. Chronic Diarrhea: In order to treat chronic diarrhea after eating, it is important to determine the cause. If infection is the cause, then antibiotics may be of help. Generally, antibiotics are used when people have severe and persistent diarrhea, additional debilitating diseases, and stool testing reveals serious bacterial infections. However, it is difficult to treat diarrhea not caused by an infection. Sometimes people may have to go for long-term medication or even a surgery may be recommended in certain cases. People with lactose intolerance, celiac disease, or irritable bowel syndrome may have to modify their diets. Oral rehydration is important to people suffering from chronic diarrhea as in the case of acute diarrhea. People suffering chronic diarrhea may be advised to avoid beverages containing caffeine, alcohol and maintain a well-balanced nutrition to enable quick recovery. Dehydration is one of the leading dangers of watery diarrhea. When the condition lasts for more than four days, treatment must immediately be sought after because it can already indicate a more serious digestive problem. Intake of bananas apples, and blueberries is strongly recommended because they can improve and tighten the stools. Instead of solid foods, the victim is advised to take clear soups to let the digestive system rest from digesting hard foods. Fiber-rich foods should also be taken excessively because they regulate and promote a normal bowel movement by helping the body absorb substantial amount of fluids. No matter what the cause is, intake of excessive clean fluids that contain electrolytes should be observed. Several small meals should be taken frequently however, the avoidance from foods that contain alcohol, caffeine and fats should be observed because they can aggravate the condition. Sodas, gelatin and fruit juices should also be avoided because they contain substances that can trigger its onset. Arsenicum: for people suffering from diarrhea with nausea, extreme thirst and weakness. Chamomilla: good for children, especially if they are oversensitive and inconsolable. One teaspoon of food-grade clay with a glass of water absorbs and binds wastes in the intestines. Multivitamin and multi-mineral supplements to compensate for the loss of large amounts of the electrolytes. One teaspoon of acidophilus powder thrice daily re-establishes the healthy balance of intestinal flora. Bromelain or papain tablets chewed after each meal will relieve symptoms of diarrhea caused by the deficiency of digestive enzymes. Addition of fiber to the diet helps add bulk to stools and relieve watery diarrhea. Banana is a good food to eat after diarrhea. Ingestion of one tablespoon of pectin thrice daily provides protective coating over the irritated intestinal lining. Tea made with herbs such as mulletin, red raspberry leaf or meadowsweet has been found to be useful in alleviating diarrhea symptoms. Two other effective anti-diarrheal herbs are slippery elm and marshmallow root. Essential oils like peppermint oil are anti-spasmodic and applying them on the abdomen for about 10 – 15 minutes will also be of help. 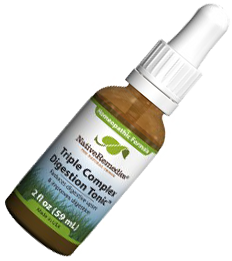 CLICK IMAGE OF BOTTLE BELOW to learn more about Triple Complex Digestion Tonic! This girl tells us about our poo and what it means by what color, texture etc… disgusting but done in good taste and important to know about for our good health. Enjoy! Identify causes of diarrhea, such as the flu or stomach viruses, with tips from a licensed dietitian in this free video on health and nutrition. 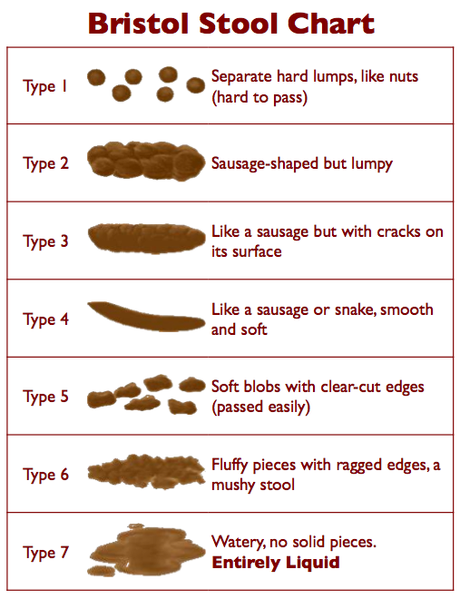 Summarizing, there are a number of approaches to treating diarrhea of these types. People have the option to choose the approach that they feel will be beneficial to them. Of course, people should check with their physicians before deciding on the kind of treatment they would like to follow. Get this free ebook on diarrhea right now. Click here. Get one home remedy ebook delivered to your inbox each week for free. Simply fill in the form to join our free newsletter. 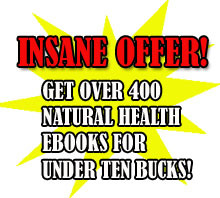 Or buy my personal book “The Big Book of Home Remedies” and get access to all 418 ebooks to download immediately. Sorry to hear that… I urge you to eat plenty of bananas apples, and blueberries and also fiber rich foods… follow the remedies above and you will get better. I’ve been drinking a lot more coffee and coke lately, I wonder if that has been causing me to have diarrhea in recent days. I’m thinking maybe because I’m replacing water with coffee and coke, I’m suffering from even more dehydration or perhaps it’s just making the diarrhea worse. I don’t know, but I’ve never suffered from diarrhea for this long. I’m going to replace what I drink with clean fluids that contain electrolytes and also follow other home remedies to get it to stop. Definitely drink more pure water! Too much coffee and coke is bad for you in more ways than one. You will get good results if you can follow the advice in this post. This was really helpful. For about 4 weeks I’ve had yellow stool that is very soft/liquid. (I’ve had this before, too). I don’t drink sodas or coffee, just water. I get urinary tract infections very easily. What’s causing this and what should I do? Hi Taylor, I really advise following the tips covered in treatment and prevention above and have a read of our articles on urinary tract infections too. There are definitely natural methods to combat this condition. My diarrhea is yellow and not a lot of food looks like it has been digested like I see peaces of chunky foods . I’m afraid of worms I’ve been trying papaya seeds I don’t know if that is the case because it started right after I started eating the seeds . Steatorrhea is sometimes called yellow diarrhea. It refers to defective digestion in the digestive tract of our body. In other words, malabsorption of certain foods contents causes the color of the stools to be yellowish. Steatorrhea or yellow diarrhea can be classified as primary or secondary. Topical sprue and celiac diseases leads to primary steatorrhe, while the examples of primary steatorrhea include regional enteritis, Whipple’s disease, lymphomata, entero-enteric fistula, and intestinal strictures. 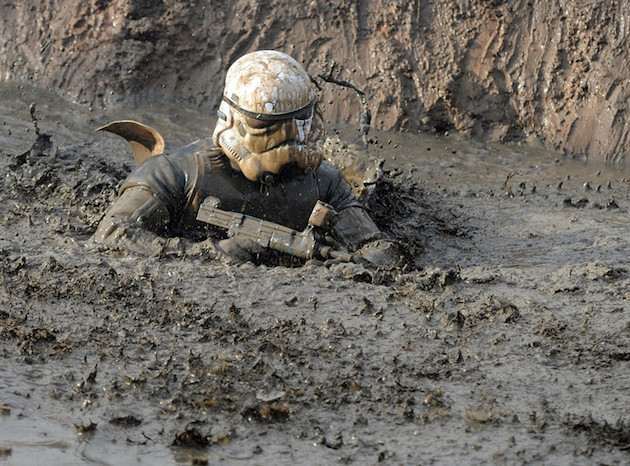 Yellow diarrhea may be caused by many other conditions (e.g. amyloid disease, diffuse systemic sclerosis, and diabetes mellitus.) and certain drugs like neomycin, phenindione, and phenolphthalein. Steatorrhea develops when digestive system does not receive bile acids, pancreatic enzymes or does not have normal lining of mucosal cells. Thus, ingested fats cannot be absorbed and are expelled with feces. Diarrhea can cause serious illness if not treated on time. Dehydration is one of the important outcomes of the loose stools. Therefore, rehydration is one the important and first treatments of diarrhea. When we talk about home remedies, there are several ways to manage diarrhea at home. Bismuth subsalicylate, intake of bananas and Loperamide hydrochloride are the recommended treatments for diarrhea. Folic acid helps maintain the gastrointestinal mucosa and thus helps with diarrhea. Fiber-rich foods avoid diarrhea. 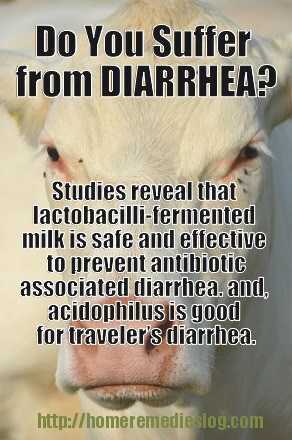 Studies reveal that lactobacilli-fermented milk is safe and effective to prevent antibiotic-associated diarrhea . Similarly, acidophilus is effective for traveler’s diarrhea. Hlebowicz et al reported that apple cider vinegar delays gastric emptying in insulin-dependent diabetic patients with diabetic gastroparesis , but, there is no study available recommending apple cider for diarrhea. Even studies have reported that unpreserved apple cider can transmit E coli, causing severe infections . Do not forget consulting your health care provider before you start on these home remedies. 1. Beausoleil M, Fortier N, Guenette S, Lecuyer A, Savoie M, Franco M, et al. Effect of a fermented milk combining Lactobacillus acidophilus Cl1285 and Lactobacillus casei in the prevention of antibiotic-associated diarrhea: a randomized, double-blind, placebo-controlled trial. Can J Gastroenterol. 2007; 21(11): 732-6. 2. Hlebowicz J, Darwiche G, Bjorgell O, Almer LO. Effect of apple cider vinegar on delayed gastric emptying in patients with type 1 diabetes mellitus: a pilot study. BMC Gastroenterol. 2007; 7: 46. 3. Besser RE, Lett SM, Weber JT, Doyle MP, Barrett TJ, Wells JG. An outbreak of diarrhea and hemolytic uremic syndrome from Escherichia coli O157:H7 in fresh-pressed apple cider. JAMA. 1993; 269(17): 2217-20. I started experincing yellow diarrhoea today,yesterday I took lime juice and about an hour after fried chicken Ithink that might have been the cause and i also have stomach pains. please help. Hi Martin, Sorry to hear that… Definitely try the treatments mentioned above and you should get well sooner. After 3 nights of very heavy drinking i am experiencing this. I went on a camping trip and our group drank alot! Came home i am weak beyond belief, watery stools yesterday every 20-40 mins, only 2 today constand gagging, vomitting, fever n chills! 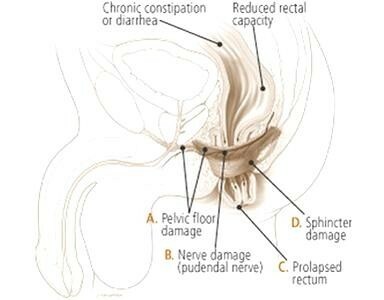 Drinking too much alcohol is also a common cause for diarrhea especially the yellow watery type. Get lots of rest and drink lots of water and eat yoghurt…. did you learn a lesson? I’m on my fourth day of takeing my antibiotics for a bladder infection and I’ve been experience ing yellowish/ runny stools like a couple of times a day and peeing frequently is this normal? Hi Gina, unfortunately antibiotics are a common cause of this type of yellowish and runny diarrhea. It is completely normal. Please follow the advice written above and it should return to normal soon. Dont panic..
Ive had the yellow, loose watery stool for almost 5 years. Ive seen a GI doc who has thrown around different things but never given an answer so i stopped going. I looked this up today because of an instant change to bright green! After reading all of this im thinking a second opinion and new appt to a GI doc is in order. Im just afraid because theres meer been any resolution to this. Just constant bathroom trips 5+ times a day for far too many years!! Hi Ang, Sorry to hear you are not finding an answer. If you have tried the diet changes and other remedies outlined here and it still remains a problem I really think you should make an appointment with a specialist (A new doctor you haven’t seen yet). It may be an underlining condition that is causing this. If you have had any flushing; sudden redness of face, neck, upper chest, arms, you might want to research carcinoid syndrome. It’s very rare. My 12 year old grandson has chronic diarrhoea for past 4mths. No sickness but symptoms so severe he cannot make it to toilet on occasions. Yellow and watery motions. Any further advice please? Hi Julia, I suggest your grandson follow the guidelines in this article and he should see a good improvement. Especially eating acidophilus yoghurt. Hope he sees some improvement soon. Hi, I have had explosive yellowtail diarrhea for 2 days with stomach pain and cramps all over my abdomen, but very painful around the belly button. I have had 7 abdominal surgeries ( 5 caesarean cut, 2 keyhole ) and was told after last one that any abdominal surgery is DANGEROUS . I have multiloculated cysts in both ovaries (8cm and 5cm) that cannot be repaired now. 2 days ago I lifted a very heavy weight and within hours had cramping pain and explosive yellow diarrhea. I am too scared to go back to hospital as they punctured my bowel and removed 3.5 inches as well as scar tissue everywhere. I’m also an insulin dep. diabetic. Is this bowel motion dangerous? Hi Tin, I would say not. You will need to build your health back up slowly. If you still have these symptoms of yellow diarrhea, try some of the home remedies on this page and follow the diet advice too. If you do not notice positive changes after a few days then see your doctor. I have been experiencing yellow liquid diarrhoea for 3 days now accompanied with the worst flu type symptoms I have ever experienced. I have the most horrendous pain in my stomach and very dehydrated. I go to the toilet at least every 20-30mins depending on whether I rehydrate or not. Please help! This sounds like a stomach bug, you may have gastroenteritis. Just keep on drinking water and if symptoms do not improve soon see your doctor. I have had a water diarrhea. Nothing solid. Just water coming out. Won’t stop been almost 2 days now. I would day the food but my girlfriend ate the same food had no symptoms at all. Never had this before. Just water coming out. Nothing else. For to tell that only once a day…i am avoiding red chilli in meals and mostly cook bottle gourd and rice twice a day…. Had many of all the above symptons for over 2 years and then found out with no help from the doctor that it was a tablet he had prescribed. I have a back problem and occasionaly STRESS occasionaly used to take a very strong one a day pain killer maybe for 3 days that was causing excess acid in my stomach so I was prescribed LANSOPRAZOLE to counter the excess acid just while I took the pain killer. I went to the doctor with periodic bouts of Diarrhoea and he told me to take the Lansoprazole every day which led to over 2 years of hell. Drugs like Lansoprazole turn your stomach upside down and I was having to go to the toilet about 6 times after getting up in the morning which over a 2 to 3 hour period, sometimes runny and sometimes just one small stool. I have had to cancel business appointments and became reluctant to go anywhere as later in the day would need to go urgently another couple of times. Drugs like Lanrapazole may work for some people but not for everyone. Not happy with my doctors at all who here in the UK seem very reluctant to refer you on now because it costs them money? I had my gall bladder removed in 2010. It was emergency surgery because I had pancreatitis too. But now in 2016 I am having pain in the same place as my gall bladder! Upper left abdomen. I rarely have a normal bm its always bright yellow water and the pain is getting worse. Any thoughts? I’ve never been the same since that surgery…. I have very soft stool bright yellow for 4 days. I’m 66 female no health issues except hypothyroid. and high BP. No severe pain or mucous. Can I get back to normal on my own, I haven’t taken any Imodium thinking itt should run its course. I had loose stool and not so bad diarrhea but i kept going so much. I feld weak and lathargic. 3 days it lasted. I am gradually eating a little more but I feel I need to eat moe than jello, applejuice aqnd steamed chicken. Could I eat more now? I went out to eat lunch on Saturday and had medium-rare prime rib. Ever since I have had horrible stomach aches, diarrhea (yellow & fluffy looking) and headaches. Does food poisoning last a week? I literally run to the bathroom every half hour to the hour. Should I be going into the DR or does this sound like food poisoning and it will pass? I had two normal large formed brown bowel movements, then started yellow completely liquid stools, I feel sick, and nauseous, and weak. Seems like every time I stand up this is coming on me. Took a tbs of Pepto Bismo this am, but don’t seem to be getting better. Any suggestions.